It’s no secret among my family and friends that I am a staunch supporter of ShopBack Malaysia. For me, it is the best online loyalty platform. So I have no problem promoting it even on my personal Facebook. Like my friend says in the screenshot above, it’s free money. After being a user for approximately 2 years, I have accumulated over RM230 worth of cashback. In fact, I have increased my cashback amount by an extra RM130 since my last post about ShopBack, so that shows how often I use them. Recently, I noticed that restaurant booking apps and websites are also available on ShopBack and one of them is HungryGoWhere. Currently, HungryGoWhere has a series of hot deals which include plenty of affordable set meals, discounts and buy 1 free 1 offers. You should definitely check them out but don’t forget to click on ShopBack’s link first to grab yourself some extra money. First, if you haven’t registered for an account in ShopBack, do it immediately because it’s free and fast, especially if you have a Facebook account. After logging in, you will see multiple tabs of product and service categories which you can earn cashback from. Select the “Dining” tab (Or the “Food” icon in ShopBack’s app) tab and the list of participating merchants will appear. I am picking HungryGoWhere because I am about to book a table at ANTE for dinner, but you are free to choose whichever service you like because the steps are the same. You will then see a list of deals the merchant is offering. 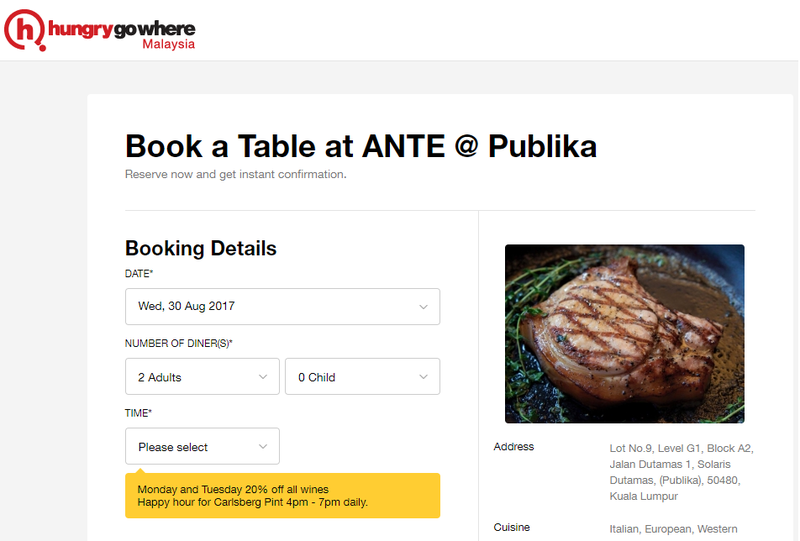 As you can see, HungryGoWhere is offering RM6 cashback when you book and dine through ShopBack. Click on the “Activate Cashback” button to initiate the cashback process. When you have arrived at the merchant’s website, everything else will proceed like normal. My reservation with ANTE using HungryGoWhere went flawlessly and the meal was excellent. Our previous experience with ANTE was alright mainly because we did not order their signature dishes. 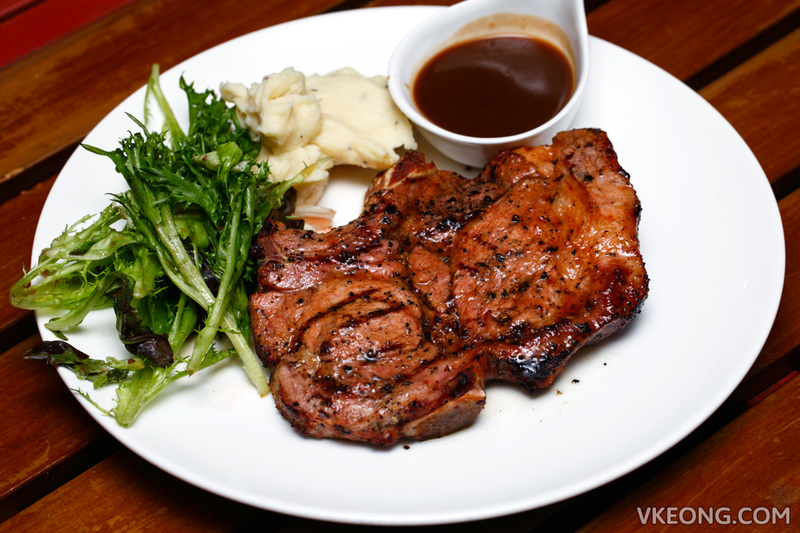 This time, we had their pork steaks and specialty pastas which greatly impressed us. 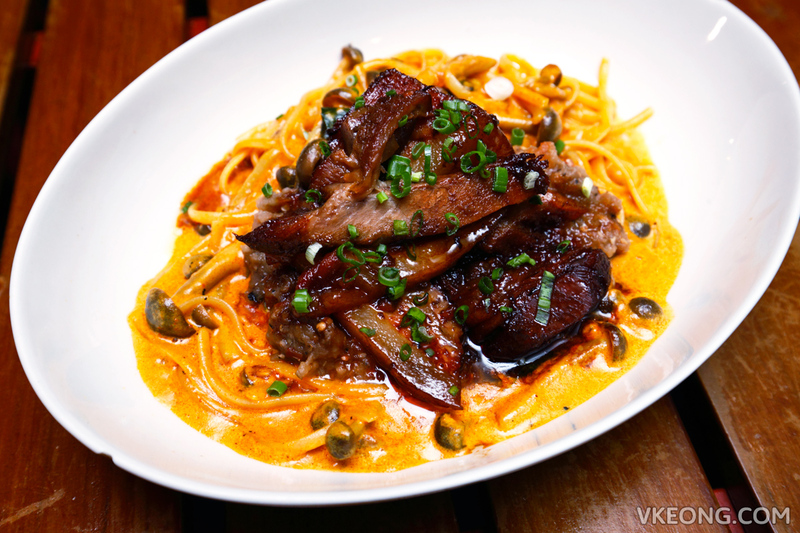 The pork shoulder @ RM52 was served in a huge portion, tender, juicy and full of flavor. I highly recommend that you try it, and if you do, remember to use ShopBack! Personally, I feel one of the beauties of using ShopBack is that everything is done electronically. There’s no physical vouchers to carry around, and better still you don’t need to mention any cashback to the restaurant, as ShopBack already handled that part. RM6 might not sound like a lot but hey at least it covers your toll and parking fees. Besides HungryGoWhere, you can also enjoy cashback by booking reservations on Eatigo, order food delivery on FoodPanda or buy deals on Fave by Groupon and 8excite. If you are already using these services, there’s really no reason for you not to include ShopBack as part of the process. Essentially, you are acting as your own affiliate. Instead of letting someone else earn the affiliate commissions, you might as well be the one who receives it. I bet you are eating during the upcoming long weekend and that’s the perfect opportunity for you to try ShopBack. They will be running a Food & Dining campaign from 1 to 3 September 2017, where you will get 10% Upsized Cashback on Fave, Eatigo, Honestbee, HungryGoWhere and more. Also, there will be voucher codes being offered as well with value up to RM29. For those who are more interested in online shopping, you will be pleased to know that ShopBack will have their 9.9 Cashback Day campaign from 7 to 9 September with up to 99% cashback across stores such as Lazada, ZALORA, Booking.com, Expedia, Taobao, Aliexpress, Hermo and many more. So what are you waiting for, check out ShopBack today and invite your friends and family to do the same too! The post ShopBack Malaysia Upsized Cashback Campaign appeared first on Malaysia Food & Travel Blog.